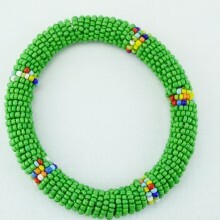 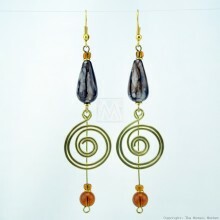 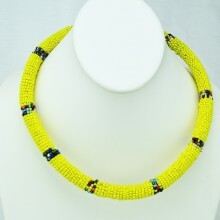 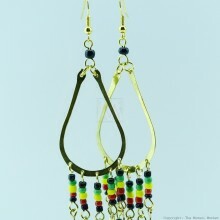 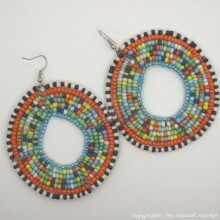 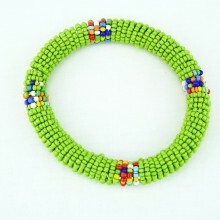 Get this vibrant handmade necklace from Kenya/East Africa! 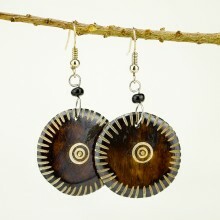 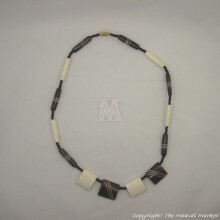 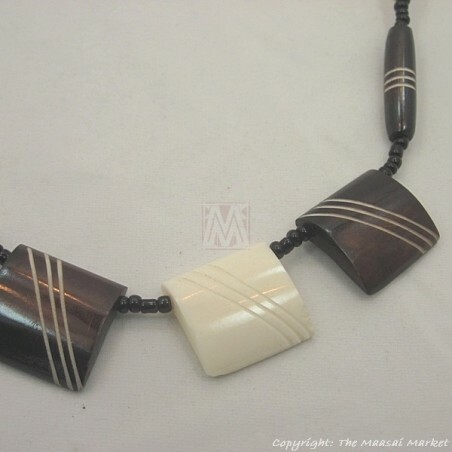 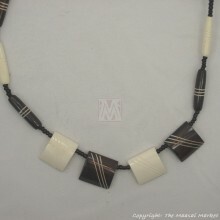 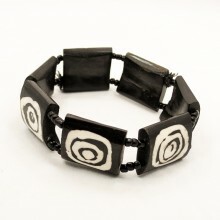 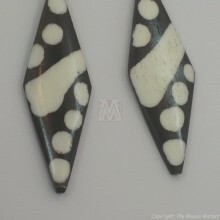 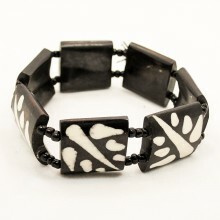 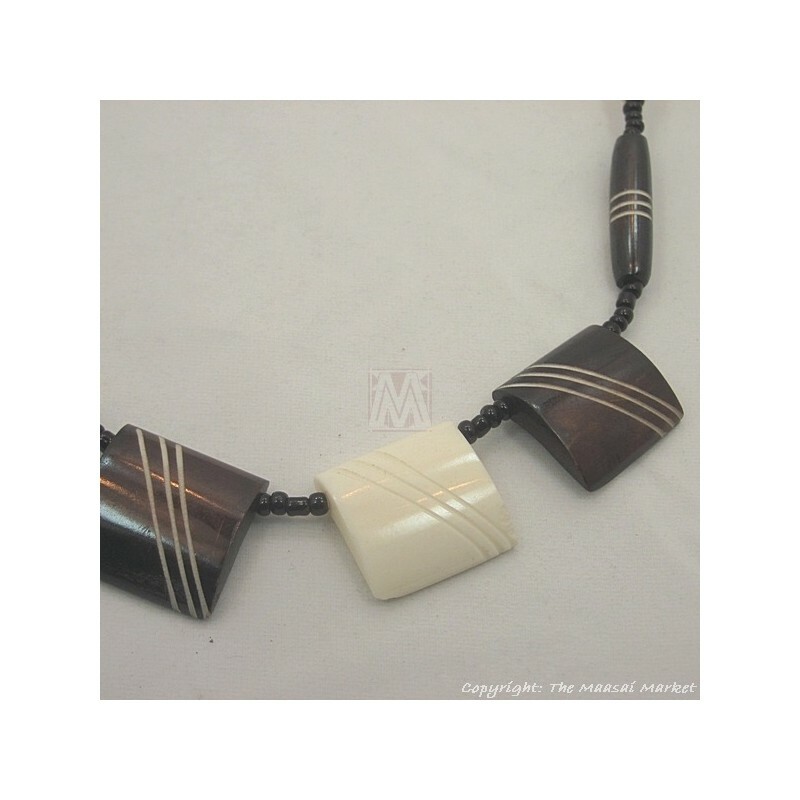 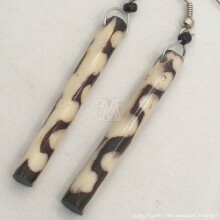 This necklace is made of four square beads and tube beads all hand-carved out of cow bone. 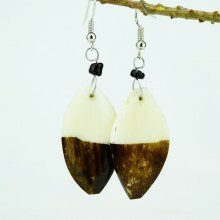 Its intermixed with some that are dyed and others just plain white. 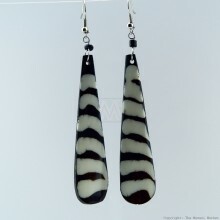 We have a few of them so the one you will get will look slightly different. 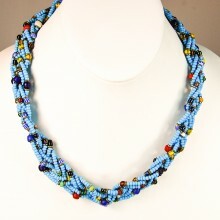 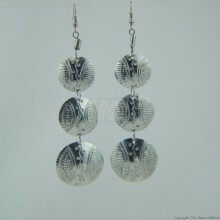 Size: Necklace is approximately 18" to 20"long. 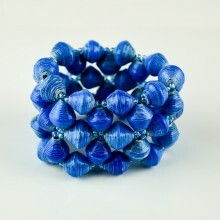 square beads about 3/4" X 3/4".